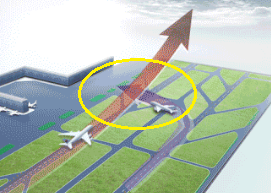 Both aircraft missed each other by only a narrow margin on the ground at Shanghai Airport, China. China Eastern flight MU5106 from Beijing has landed normally on runway 36R(right) and was taxiing off the runway to the left. Due to yet unclear circumstances, the A330 failed to hold short before runway 36L and continued its taxi route crossing the active take-off runway. At the time the pilots who just accelerating down the runway noticed the A330 did move into their path, it was already too late to abort the take-off. The A320 pushed the throttles to full power, rotated and lifted off at a point of about 300 meters (1000 ft) ahead of the crossing A330. The A320 already has reached a flyable speed and it cleared the A330 by only about 60 feet (19 m), according to a statement by the CAAC authority. 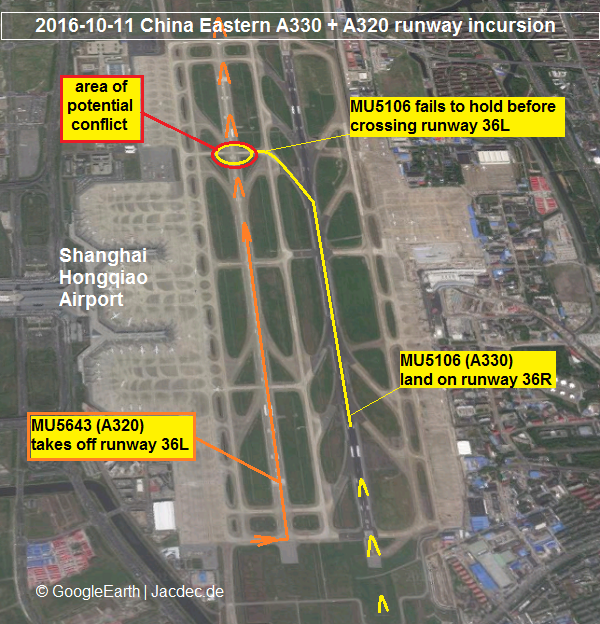 MU 5643 (A320) continued its flight to Tianjin without further incident while MU5106 (A330) crossed runway 36L, reaching its parking stand without complications. Weather conditions at the airport were reported good. 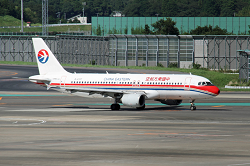 Chinese Authority CAAC rated the incident as „serious“ and opened an investigation. 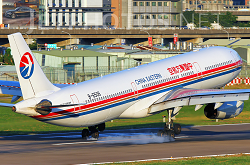 The following day, CAAC released a preliminary media statement blaming local tower controller to be at fault.